ATO® Fuse In-line Panel Mount Fuseholder Versatile fuseholder for in-line or snap mount panel applications. Interlock body design allows fuseholders to be snapped together. 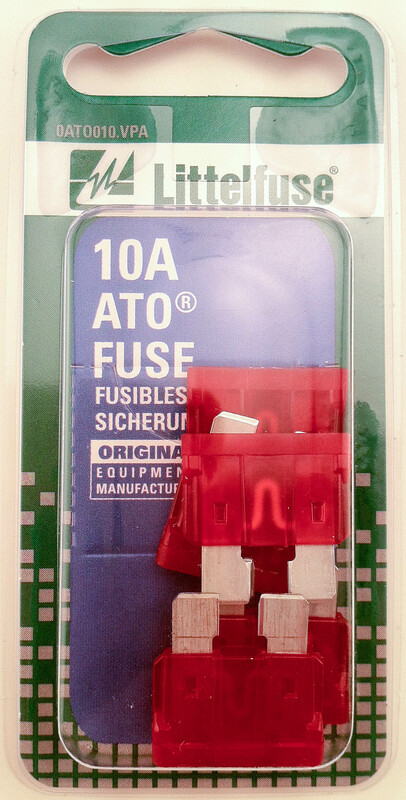 Use with ATO® Fuse 1 to 20 amps. Supplied with 8" loop of 14 gauge black wire.